Worldwide sports betting is a phenomenon. It's makes billions in the likes of the UK and Europe as punters place bets on the go, whether that be to work, in the bar on a Saturday afternoon, or even live at a fixture. With the shift in legislation to allow online sports betting in a number of states, that is seeping over into the USA, and it's already making mega money. Sites such as https://www.gamblersaloon.com/ are thriving as fans look to find the best mobile and online bookmakers and that's only set to continue as online sports betting becomes more accepted and more accessible. Currently there are nine states that have passed bills to allow sports betting online, and all have seen significant revenue increases in their industry, many completely transforming it. New Jersey has been struggling until passing the bill, seeing record turnover month after month. In January, the state took a record $385 million in wagers, compared to $319 million in December, which was a record in itself. And a significant proportion of that is down to sports betting. It's a similar story in the likes of Nevada and Delaware too. That's only going to improve too as more and more bookmakers arrive in these states with mobile apps offering impressive services. The likes of Paddy Power and DraftKings are bringing their offerings to various states which is going to contribute to a significant boom in the industry as fans continue to download betting apps. Those two won't be the only companies being introduced to the states that have already passed the online sports betting bill, bet365 have been rumoured recently, while it's only a matter of time before more join the party. Other states are already beginning to see how lucrative it is, and mobile sports betting will likely be available to many other punters across the next nine months. 31 other states have shown signs of activity that they are working towards passing a bill, with New York and Arkansas the two where it's most likely to arrive first. A recent vote saw New Yorkers split evenly as to whether they want to see it land online, with the majority of people living in the city itself keen to welcome the move. Sports betting in outlets will arrive this year, which suggests being able to bet via smartphone won't be too far off either. 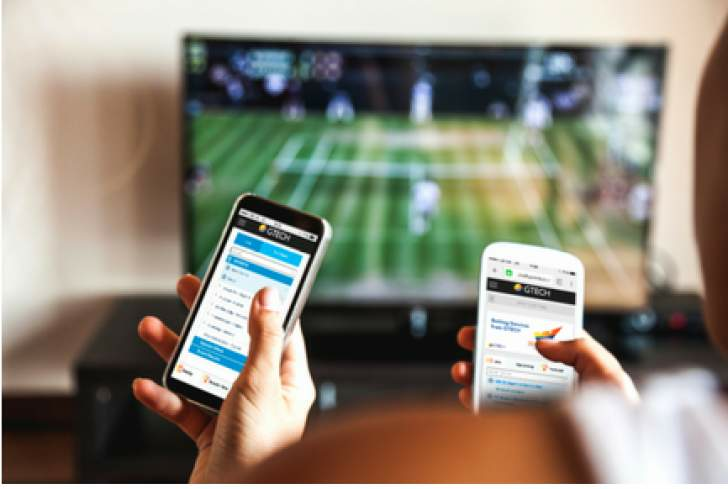 Progress will continue to be made throughout 2019 and in the next 12-18 months there will be an incredible boom in the number of users able to bet via their mobile device. That's going to transform the betting industry as we know it, especially with mobile betting across the world already revolutionising the way in which we play. A rise in US games is only going to see a sharper rise in revenue, in turn developing the industry even quicker.